Candesartan is used for treating high blood pressure (hypertension) and heart failure. Why have I been prescribed Candesartan? Atacand is used for treating high blood pressure (hypertension) and heart failure. The active ingredient is candesartan cilexetil. This belongs to a group of medicines called angiotensin II receptor antagonists. It works by making your blood vessels relax and widen. This helps to lower your blood pressure. It also makes it easier for your heart to pump blood to all parts of your body. Always take Atacand exactly as your doctor has told you. You should check with your doctor or pharmacist if you are not sure. It is important to keep taking Atacand every day. You can take Atacand with or without food. The usual dose of Candesartan is 8 mg once a day. Your doctor may increase this dose up to 32 mg once a day depending on blood pressure response. In some patients, such as those with liver problems, kidney problems or those who recently have lost body fluids, e.g. through vomiting or diarrhoea or by using water tablets, the doctor may prescribe a lower starting dose. The usual starting dose of Candesartan is 4 mg once a day. Your doctor may increase your dose up to 32 mg once a day. Please tell your doctor or pharmacist if you are using, or have recently used, any other medicines, including medicines obtained without a prescription. Atacand can affect the way some other medicines work and some medicines can have an effect on Atacand. If you are using certain medicines, your doctor may need to do blood tests from time to time. Aspirin (Acetylsalicylic acid), if you are taking more than 3 g each day. Like all medicines, Candesartan can cause side effects, although not everybody gets them. It is important that you are aware of what these side effects may be. They are usually mild and disappear after a short time. Candesartan may cause a reduction in number of white blood cells. Your resistance to infection may be decreased and you may notice tiredness, an infection or a fever. If this happens contact your doctor. Your doctor may occasionally do blood tests to check whether Candesartan has had any effect on your blood (agranulocytosis). Low blood pressure. This may make you feel faint or dizzy. An increased amount of potassium in your blood, especially if you already have kidney problems or heart failure. 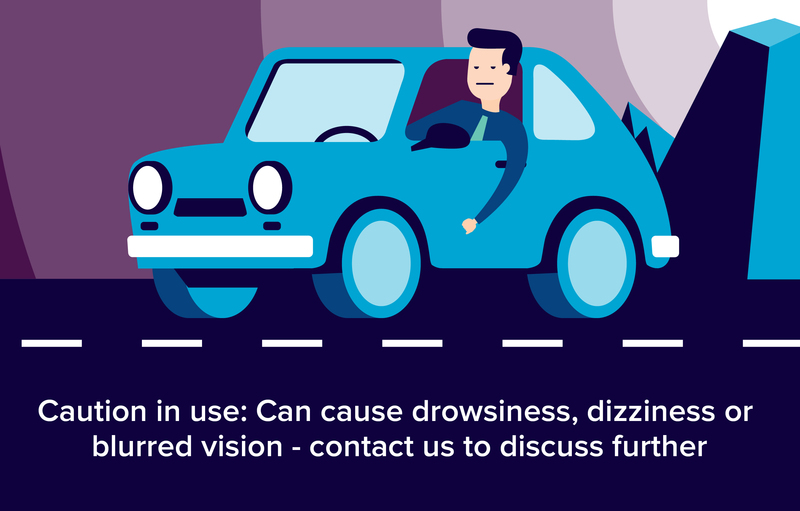 If this is severe you may notice tiredness, weakness, irregular heart beat or pins and needles. Effects on how your kidneys work, especially if you already have kidney problems or heart failure. In very rare cases, kidney failure may occur. If you drink alcohol, talk to your doctor before taking Candesartan. Some people who drink alcohol while taking Candesartan may feel faint or dizzy. Before taking Candesartan, tell your doctor if you are pregnant or trying to become pregnant, or if you are breast-feeding. This is because Candesartan can affect your baby. You must not take Candesartan if you are pregnant. If you become pregnant while taking Candesartan stop taking it immediately and tell your doctor. Avoid becoming pregnant while taking Candesartan by using a suitable contraceptive. You must not take Atacand if you are breastfeeding.